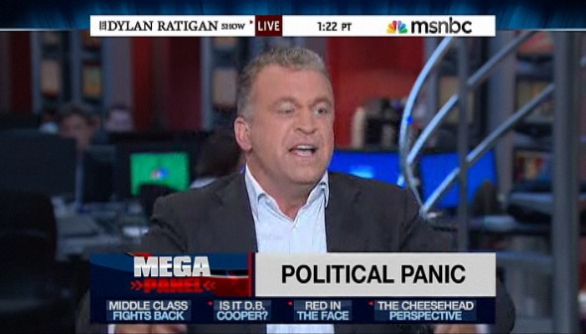 MSNBC’s Dylan Ratigan EPIC rant…..
As Americans continue to grow increasing upset with our current political process it is refreshing to see someone with a voice speak the uncensored truth. Day in and day out we hear from the President, Democrats/Republicans/Tea Party folks in congress talk AT each other instead of TO each other. As a political pundit Ratigan listens to the same thing EVERYDAY and instead of solutions we continue to see the systematic destruction of the United States. We have a president that gives speeches of a vision while we have a congress scared/reluctant to do BIG things, what happened to the United States that went to the moon in the 60s and built the Hoover Dam in the 30s? This current political environment is STUCK…. And when all phases of government are stuck, what is else is left??? As you will see in the clip below Dylan Ratigan is calling for the president to take it to the people and call what it is… Congress and our political process is BOUGHT!!! Ratigan is correct on all levels and I will admit I get caught up in the idea of Dems vs Repubs, when both sides are to blame. Back in 2010 President Obama loved to use the line that Republicans drove the car (economy) into the ditch…..
WRONG Mr President, as Ratigan clearly states it was both the Democrats and Republicans who drove the economy into the ditch!!! Well as Ratigan would explain the day after his rant, we have to take responsibility to understand/educate ourselves about what is going on with the Banks and American Tax Code and to turn around and explain it to those that don’t understand. In this day in age with word of mouth and social media we can get the message out. HELL, if we can start a f*(king Trending Topic on Twitter about Justin Bieber and keep it up there for months we can do the same about what is wrong with the United States and its financial system.